The Information Commissioner’s Office (ICO) is investigating a Midland man’s claim his local college is struggling with its legal duties under the Freedom of Information Act. 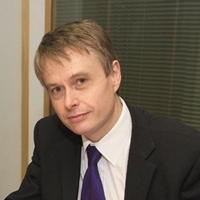 Julian Saunders complained to the ICO and requested that Sandwell College’s FoI practice be monitored after it issued a number of late responses to his requests. Principal Graham Pennington (pictured right) has even sent him four apology letters for failing to disclose information that should have been released. The college claimed that 60 per cent of FoI requests it had fielded so far this academic year had come from Mr Saunders and said that “unfortunately it can take time to collate complex information for so many different requests”. The ICO has nonetheless agreed to discuss Mr Saunders’s case, which covered FoI requests into issues such as delays in revealing the number of student studying A-levels and publishing the minutes of the college’s governing board meetings. A spokesperson for the ICO told FE Week it could not comment specifically on the case, adding that its role was to look into the complaint rather than investigate the college. “We cannot investigate other matters that may lie behind the request. We focus on only whether an organisation has complied with the Act,” she said. 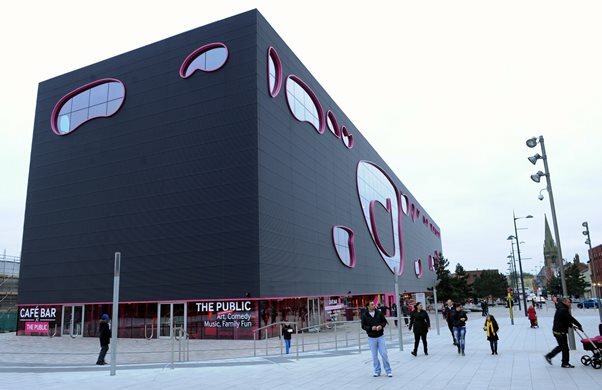 Mr Saunders, who writes community news blog The Sandwell Skidder, began engaging with the college after it took over The Public — a public building in West Bromwich, where the college is based, that previously housed an art gallery and was run by his wife. One of Mr Saunders’s FoI requests, made on June 6 last year, got no response, he claimed. Mr Saunders followed up with a further email asking for an internal review on July 9, and received a response on August 4 apologising for the delay saying that his FOI request had been “forwarded to an incorrect email within Sandwell College”. His request was answered on August 8. He said it was one of a number of internal review requests he had made to Sandwell College having seen his FoI requests go unanswered or contain significant redacted information. A Sandwell College spokesperson said: “So far this academic year we have received 10 FoI requests, six of which have been from the same person, requesting detailed information on various and complex subjects, including our A-level provision and arts provision at Central Sixth. In addition to these we have received five requests for internal reviews. “These requests are all from the same individual, the husband of the former managing director of The Public, which the college has transformed from a loss-making arts facility into Central Sixth, a highly successful sixth form centre in partnership with Sandwell Council.